What to consider when buying SD WAN for cost savings? The majority of hype across SD WAN capability revolves around cost savings. In reality, the outcome of low pricing could result in detrimental effects across application performance and uptime. The major difference between using the Internet vs private WAN services such as MPLS is the removal of end to end Quality of Service. Our professional services group have access to 10’s of service provides enabling us to position the lowest cost connectivity vs your location. However, we would caution against WAN procurement where the key driver is saving money. While we fully understand the budget is important, there is a clear need to align your WAN to your specific business requirements. This isn't to say SD WAN cannot save you money, the technology is an enabler to sophisticated features and cost reduction where required. What to consider with SD WAN and cost savings? 1. Using the Internet saves money but be mindful of the providers SLA, reach, latency and jitter performance. 2. Network architecture should surround the need to design for application performance and not simply cost. 3. Be mindful of providers marketing their capability as vastly reducing cost vs MPLS, the right connection is based on analysis of needs. 4. SD WAN cost ranges from £50 per month for 3G/4G and Broadband to over £1000 for Ethernet connectivity depending on location and bandwidth. With any good WAN design, a hybrid of network services is necessary depending on any given statement of requirements. The SD WAN marketplace offers almost every architecture to meet the demands of every business from three site SME networks to large Global Enterprise implementations. Low-cost Internet connectivity vs public IP. SD WAN technology offers the next level of application treatment both from the perspective of prioritisation (QoS - Quality of Service) and policies to sense traffic conditions. With every provider, marketing and opinion will sell the SD WAN dream based on features and benefits. Just as a car manufacturer may sell traction control as a feature, you wouldn’t necessarily drive the same way in winter conditions as you would in the summer. And just as an SD WAN provider will tell you not to worry about your applications, as the technology will sort everything, your goal should always be to create the best possible underlying connectivity to support your business regardless of features. The majority of SD WAN 'cost saving marketing hype' is created by using the Internet as the underlying platform to deliver VPN connectivity. There’s nothing necessarily wrong with this approach by the way, I’m just pointing out the facts. One of the drivers behind SD WAN growth is the need to access public Cloud services together with location independence. 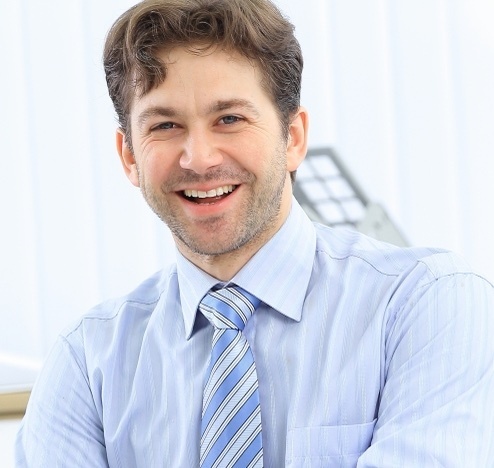 In order to deliver SD WAN access to remote workers, connectivity is often achieved via 3G/4G wireless Internet or fixed WiFI from wherever the user is situated. 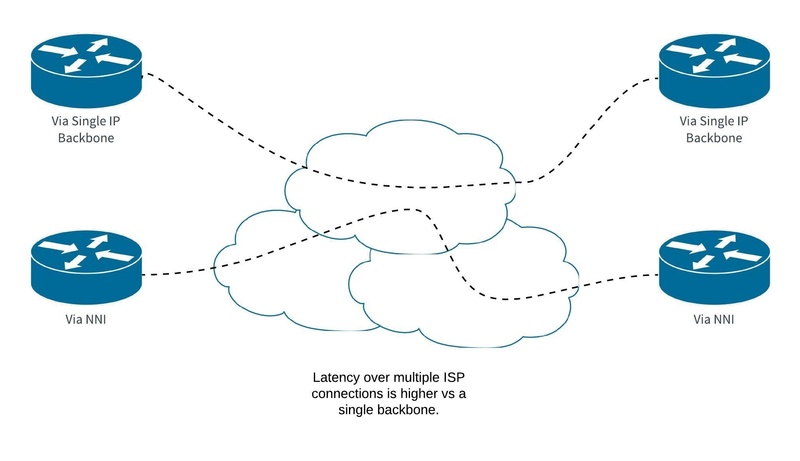 Where the users' connectivity is not a constant, SD WAN technology offers a significant capability to ensure a consistent level of service. In this respect, a software-based WAN is the right choice to meet the demands of unknown Internet connections. Without diverting from the topic of this article, an SD WAN client or device will make the best use of any given connection from the most terrible of throttled hotel WiFI ISP connections to weak 3G/4G in the corner of your garden. However, for your main data centre, HQ to branch and branch to branch connections, relying on the lowest in country or per location ISP service is a risky strategy. As traffic transitions from ISP to ISP, additional latency and jitter is added which, depending on the application, could cause poor user performance. The route taken across multiple ISPs is often unknown, issues and problems that routinely occur (for various reasons) will be difficult to troubleshoot. The service provider of SD WAN services (or your team if self-managed) will need to support multiple ISP relationships. What about using a single public Internet backbone? Public IP (i.e. using a single ISP) offers predictable traffic performance. In many ways, Internet backbones today are comparable to private MPLS VPRn (Virtual Private Routed Network). MPLS is, in fact, a traffic engineering protocol used both on the Internet and Private based VPN solutions (MPLS, VPLS, VLL). The major difference between using the Internet vs private WAN services such as MPLS is the removal of end to end Quality of Service. However, if bandwidth is good, latency and jitter are acceptable, QoS is not needed. With SD WAN, we need to remember that while end to end QoS may not exist, the actual local traffic prioritisation is much more granular. With significant control of user and application attributes, the user environment is sensed and improved upon using application acceleration or simple traffic prioritisation. As a further benefit, security policies are also set to the same detail level to further meet the demands of today's data networks. In short, a single ISP backbone for data centre, HQ and branch sites offers similar everyday performance to MPLS with the flexibility to access Cloud applications. And, the equivalent public connection is generally cheaper vs MPLS. What about SD WAN over MPLS? While SD WAN is marketed as version 2 of the IPSec Internet VPN, the technology is designed to be agnostic. In other words, the connectivity type (Internet, private short-haul circuit etc) is supported via a single SD WAN device. If we recall the beginning of this article, good WAN architecture should be a hybrid. There are selected providers offering an SD WAN connection with the ability to access private and public VPN from every circuit. And this perhaps takes us back to the conversation about cost savings. An SD WAN VPN with the capability/feature to access private and public WAN together with the major benefits of software WAN such as reporting, security and so forth results in higher costs. However, these providers offer lower cost options for remote and branch users meaning the hybrid design offers lower costs where appropriate allowing your business to budget more for mission-critical sites. Latency and Jitter performance across single ISP backbones is generally good as the Internet becomes more mature. In addition, service providers offer an SLA (Service Level Agreement) Fig 1 shows this in more detail. SD WAN offers client and low-cost CE (Customer Edge) devices. Software WAN intelligence is (or should be) located within a centralised management server. The result of locating intelligence outside of the device is that hardware design is simplified. With less complexity, comes less expense. If we then align using lower cost public IP (single ISP backbone where possible), the result should be cost savings across your WAN. SD WAN for single, remote users, is serviced via a secure client. The SD WAN client is, of course, low-cost infrastructure meaning further cost savings. While technology such as MPLS offers remote access, MPLS VPN does not offer the same traffic sensing treatment. The result of SD WAN remote capability is that software clients are often used to increase user productivity as applications become more accessible with higher performance. The net result means work is easier causing the business to be more productive which is again better for the Enterprise bottom line. The blueprint to WAN procurement? Updated every 3 months, the step-by-step WAN procurement Mindmap is a valuable resource for IT Managers. A practical step-by-step process defining the key areas your IT team should consider from application performance to delivery. Created by Robert Sturt, writer for Techtarget.com, our Mindmap won the BT award for Innovation. Where does SD WAN fit? Where does software WAN services fit into today’s networks? What are the latest options for private WAN services? How to compare UK SD WAN providers? An article on conducting comparison of SD WAN providers for UK organisations. Learn about using a layer 2 Ethernet services for your next WAN. How to Interconnect data centres? Learn about the telecoms data services used at later 2 to connect data centres. Are you considering buying SD WAN for your business? The Network Union offers our clients access to carefully selected Authorised partnerships including BT Global & UK, Cisco and Masergy. We are a highly focussed technical intermediary with buying power from major vendors and sales process to help your business make sense of the latest technologies across SD WAN, Security and Cloud. Our presales work is free including design workshops, build of your own unique SoR (Statement of Requirements) and technical presales/postsales account management. There are no contracts to sign. Indirect - your organisation contracts with the provider or vendor and Network Union is paid commissions, best suited to large UK/Enterprise business. Reseller - we sell low margin hardware and services from companies such as Cisco. BT Wholesale - UK and Global WAN/Internet connectivity. Imagine a Mindmap detailing the blueprint to WAN procurement success? Request your free copy. If you and your team would benefit from a step-by-step guide to WAN procurement, this Mindmap is an essential download. All of the key features of SD WAN defined. How to understand each core area across application flow and security. The process to follow including delivery and setting budgets. The key vendors and their unique selling points listed. Our previous WAN Mindmap has been used my multiple recognisable organisations from charities such as the Royal British Legion to London based finance companies. We also offer the live version of our Mindmap in the form of a free workshop hosted at your office. A 2 hour interactive session on all things WAN procurement. The second area you need to consider is “Exactly what business challenges do we expect this deployment to address?” In fact, if you’re on the verge of evaluating SD WAN solutions, I’d wager you’ve already identified some of these challenges. I’m suggesting you should look deeper. If you’re going to make this leap, then look for other business challenges this solution can address. Perhaps you want to make sure that your Unified Communications traffic will always take the path with the lowest loss/latency/jitter profile. Perhaps it’s very important to you that this SD WAN implementation is going to enhance your security position between branch offices. After all, many of them are very good at building full meshes of strong IPsec tunnels and doing endpoint security at every location. Maybe your primary consideration is getting resiliency for all of your sites. Another customer doing these evaluations, may be almost entirely concerned with trying to make the cloud application performance better at all of their branch locations. And finally, I suspect most businesses evaluating SD WAN solutions are hoping to make their connectivity spending more efficient at the branches. These are just a few of the business challenges that SD WAN solutions CAN address, you’ll need to define what you need out of your solution before you can ever know whether it can deliver. Have you come up with a plan to try to capture or calculate the return on investment you intend to get from this solution? Now, I understand that as the IT decision maker, that ROI formula might seem like it falls to the business office staffers to sort out. I’m asking you to consider it from your departmental perspective. Where is your time spent today? How many hours do you lose each week, month or year to failed connections? What about problematic connections (ones with high latency, or occasional loss that lead to lots of user complaints)? How much loss is too much loss on a link? Does that differ for links in Metro areas versus those in rural offices? How many different systems or dashboards do you need to log into today to troubleshoot the average problem? You see, if haven’t clearly defined your metrics for what is acceptable and what isn’t, how will you know whether you’ve gained anything from your new solution? You need to be able to define your goals for staff time savings, and circuit cost savings, as well as the efficiencies you expect to gain from better management abilities. You have to be able to define these things before you can write an RFP that tells the vendor (and your own administration) what you expect the ROI will be in terms IT efficiencies. This is your Information Technology ROI. After all, if the whole thing is 30% more difficult to manage, maintain, and administrate, we can all be pretty certain that the end-user experience is not going to actually be better. In most cases, a system that is MORE difficult to manage leads to worse end-user experiences in the long run. Oftentimes this consideration is largely already defined. Unless you’re doing this as a greenfield network (building it new from the ground up), you’ll already have a good idea exactly what circuit types, circuit sizes and circuit providers you have in place. But if it IS Greenfield, or if you are doing this as part of a large overhaul, you’re going to need to have some idea what circuit technologies you will employ. You might be deploying Metro Ethernet, MPLS, Cable modems, DSL circuits, LTE wireless, Microwave links, or even Satellite links to some locations. Obviously, whenever you can, you’ll want to keep the different technology types to a minimum. I say this largely because it keeps the number of different technologies that your staff has to be experts in to a minimum. The same can be said for keeping the number of providers to a minimum, etc. However, reality being what it is, most of us don’t have the luxury of building the network Greenfield and so we’ll be laying this SD WAN solution on top of our existing circuit topology. Being able to describe this underlying topology will allow your SD WAN provider(s) to intelligently make recommendations about how to best deploy their solutions in your environment.